This Buyer’s Guide by Robert D. Schneider presents a series of guidelines that you can use when searching for the essential Hadoop infrastructure that will be sustaining your organization for years to come. In fact, this guide is specifically designed to be incorporated into your RFP when it comes to evaluating Hadoop platforms. Why your choice of hadoop infrastructure is important? Open source Hadoop and support. This pairs bare-bones open source with paid professional support and services. Hortonworks is a good example of this strategy. 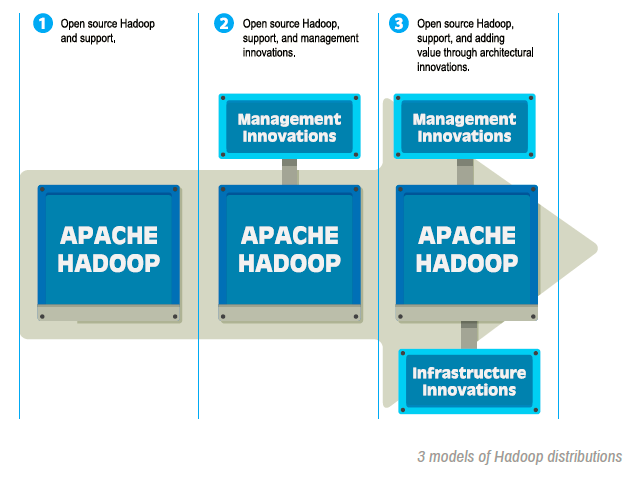 Open source Hadoop, support, and management innovations. This goes a step further by combining open source Hadoop with IT-friendly tools and utilities that make things easier for mainline IT organizations. Cloudera is an instance of this model. Open source Hadoop, support, and adding value through architectural innovations. Hadoop is architected with a component model down to the file system level. Innovators can then replace one or more components and package the rest of the open source components and maintain compatibility with Hadoop. MapR is an instance of this model. 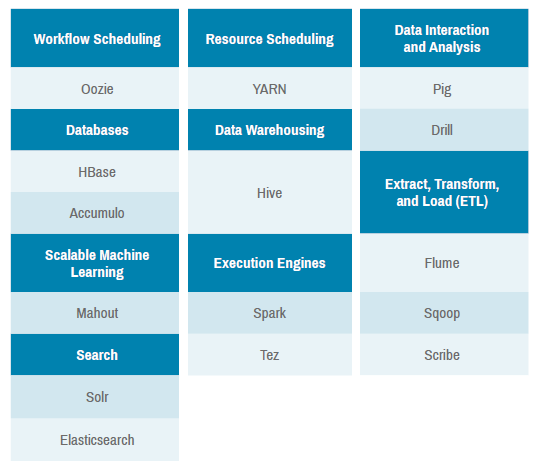 To begin, don’t think of Hadoop as a single solution, but rather as a platform with a collection of applications on top. These elements must work together to derive maximum value. Secondly, don’t force your enterprise to conform to your chosen Hadoop technology; instead, find solutions that adapt to the way you operate your business. For each recommendation, Robert D. Schneider explain what it is and what to look for in a Hadoop distribution. Also, provided are several examples that demonstrate how these capabilities add value in real-world situations.